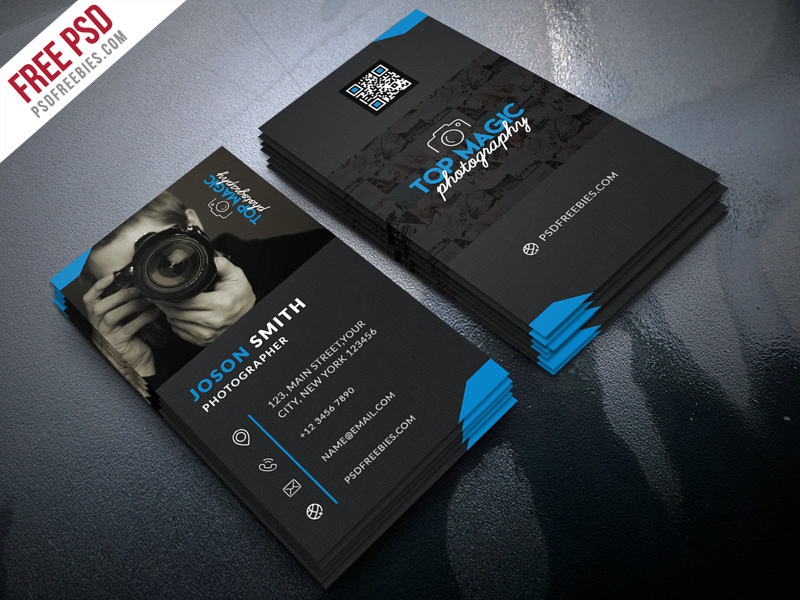 Download Free Photographer Business Card PSD Bundle. This Business Card Design is suitable for professional photography studio or freelance photographer, videographer, modelling agency and all other photography related businesses. This Photographer Business Card PSD Bundle contains 2 color option light and dark, 4 PSD files (front and back), which is 300 dpi print-ready CMYK PSD files. All main elements are easily editable and customizable. Hope you like it. Enjoy!